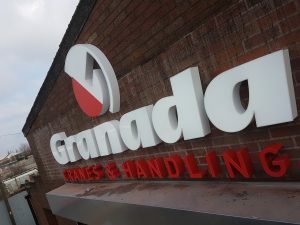 If your not wanting to stay with traditional signage methods and want something that’s funky good looking and saves energy then look no further than L.E.D Signage. L.E.D. Signs are all the rage now due to the great range of applications they can be used for, and of course the energy they save, and due to this there are further incentives from the government if you switch to L.E.D Lighting for your signage. Incorporate this with the latest CNC technology to create stunning letter shapes, and the signage that can be made can be extraordinary, making you stand out head and shoulders above the rest of your competition. Also L.E.D lighting can now be used with Flexfaced Signage which allows the use of large signs on buildings where the signs can be seen from quite a long way off, this also allows them to remain light in weight, and a lot more robust to weather elements, using LED Lighting in this way can save you a fortune in electricity costs and can mean that the new signs have paid for themselves within 12 months with the money saved.